This package contains 20 rounds of .45 ACP red tracer ammunition. 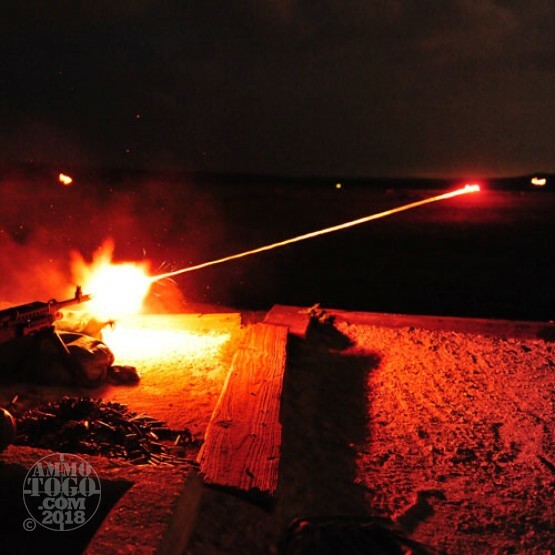 These traditional red tip tracers provide hours of entertaining shooting, producing a bright red streak of light that is easily seen day or night. Originally developed for military use, red tip tracer ammo provides an easy way for military personnel to easily see the trajectory of their rounds and adjust their aiming accordingly. Each round contains a special pyrotechnic charge at its base which generates a bright trail of red light when the primer ignites the propellant powders. The red trace begins upon exiting the muzzle of the firearm and continues to trace for up to 400 yards.